Welcome to my visual diary of the beautiful birds I photographed during the spring months. I was so blessed to photograph a Great Horned Owlet for the first time. This image is of a male Indian Peacock proudly displaying his tail feathers. This male was photographed at the LA Arboretum during early Spring when the female peahens were all over the gardens and this male decided he was going to fly up on this rock and pose for the girls. 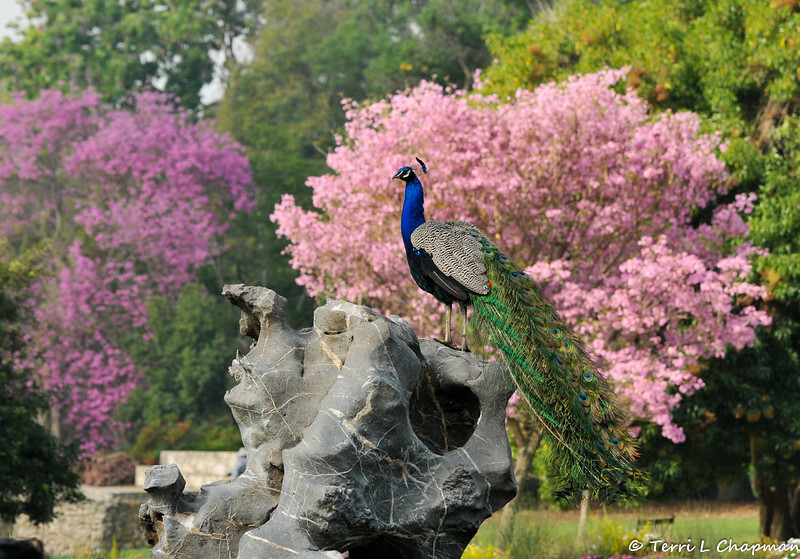 The Pink Trumpet tree in the background provides a beautiful backdrop for the peacock's colorful feathers.